Our toners give you superior OEM-like performance without paying the OEM price. All NXT Premium Replacement Cartridges are fully guaranteed and supported by a lifetime warranty. 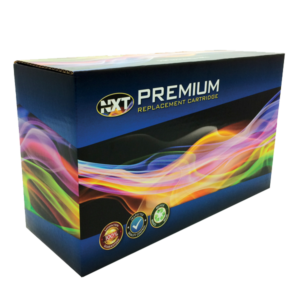 NXT Premium Replacement Cartridges contain only the highest quality components for optimal printing performance and image quality. All components are life tested to meet or exceed OEM specifications insuring you have the best replacement cartridge in the industry. 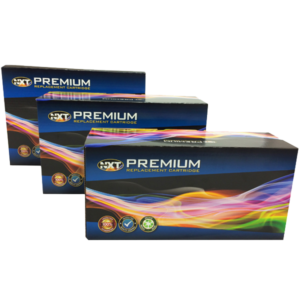 Choose from 1,500 NXT Premium supplies representing most of the major manufacturers and models in the market today. Let NXT provide an economical and reliable alternative for the more expensive original manufacturer’s cartridges. NXT Premium Replacement Cartridges can reduce printing costs by up to 50% when compared to their high priced OEM counterparts. All NXT Premium Cartridges come with a 100% guarantee to be free from defects in workmanship and materials. Use of NXT Premium Replacement Inks and Toners will not void your manufacturer’s warranty. Increase profitability and offer TCO savings with NXT Premium Replacement Cartridges. When you purchase your next new or refurbished copier, printer, fax, or multifunction, remember the next toner for that machine should be NXT Premium Replacement toner. Our team has four decades of experience in producing replacement cartridges and supplies. 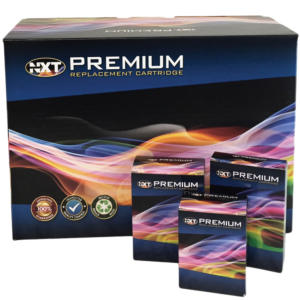 Our personal commitment to improving our product has resulted in the introduction of our NXT Premium Replacement Cartridge products. Our process for inspection and testing of products assures NXT products provide quality results and reliable replacement for traditional OEM supplies. Copyright © 2018 | NXT Premium Replacement Cartridge.